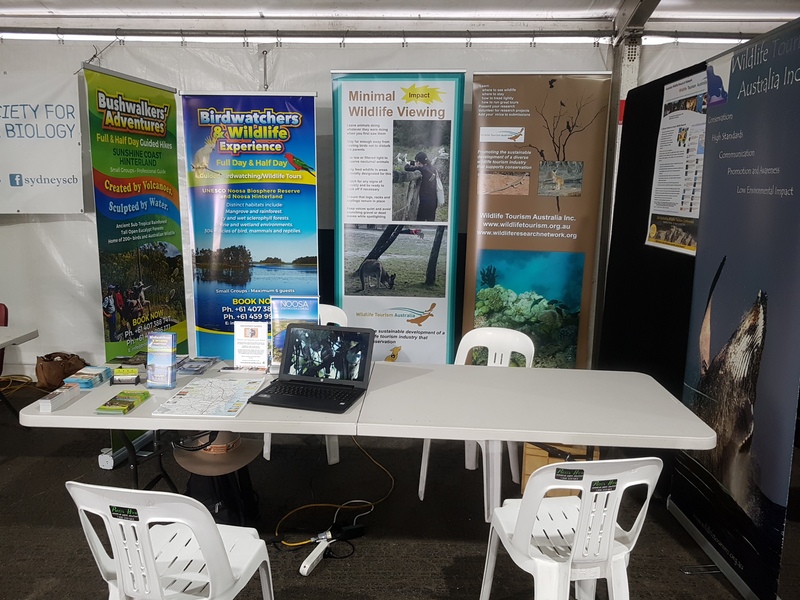 The Australasian Birdfair held in Sydney 2017, provides a platform for birdwatchers, researchers and conservationists to connect, share knowledge, plan trips and tours and discuss all things birds and wildlife. Many exhibitors came from around Australia and other regions including Mongolia, Indonesia, Sri Lanka, Papua New Guinea, Solomon Islands and New Zealand. Wildlife Tourism Australia www.wildlifetourism.org.au members Steve Grainger, Owner and Guide of Tropical Treks Guided Bushwalks & Birdwatching www.tropicaltreks.com.au and Greg Clancy, Ecologist and Wildlife Guide www.gregclancyecologistguide.com attended and manned the combined booth. 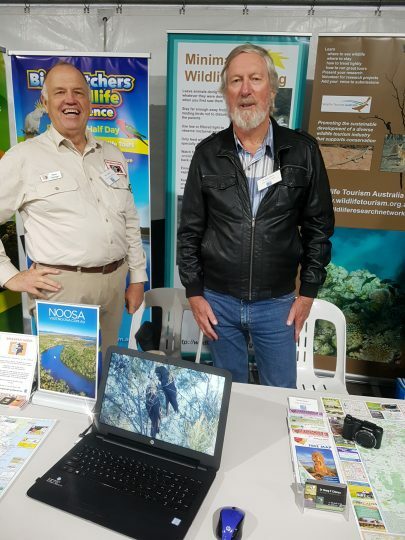 The Wildlife Tourism Australia booth was well received by many of the Birdfair visitors who showed great interest in the need for conservation in wildlife tourism. Information was distributed, discussions had on many aspects of wildlife tourism. People were directed to the website and encouraged to support Wildlife Tourism by becoming members and engaging in conservation. The Birdfair was a successful event, even with the cold and rainy weather. Birders are an intrepid lot. The next Birdfair will be held in 2019.